Using our DoNotTrackMe browser privacy tool, we found that OkCupid used nine different tracking companies and ad networks to obtain information about its visitors. 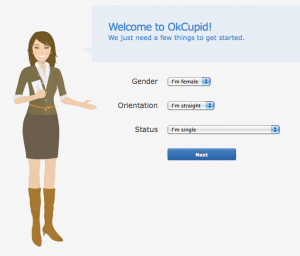 These trackers aren’t a part of OkCupid: they’re independent third parties mining user data like clicks, ad views, pages visited, and time spent viewing a particular profile. Great post! I never realized how many sites were tracking me.